Pause recognises the women with whom we work as individuals, rather than defining them by the issues and challenges they face. Every Pause programme is driven by the woman and her needs. The relationship between the woman and her Pause Practitioner is key. It is one which is secure, consistent and predictable; a relationship where women are valued and respected for who they are. They are encouraged to discover or uncover their individual identity, needs and aspirations. Pause will encourage them to be actively involved in all parts of the programme, take supported risks to learn new skills and have fun too. This is different to the negative perspectives and language that many of the women will be used to hearing about themselves. Pause focuses on achieving what, from the outside, might seem small steps that offer a sense of value and worth but we know are giant strides forward for the women themselves. 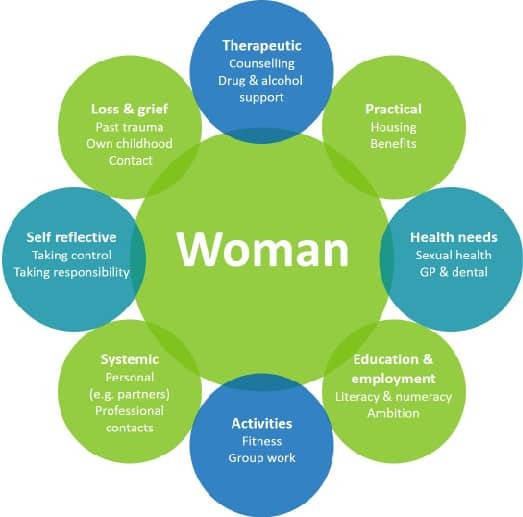 Each Practitioner works with between six and eight women, enabling them to give the time to focus on each woman’s needs. The relationship is nurturing, but it is also challenging, a partnership to help break destructive cycles and to work toward a more positive future. Pause Practitioners understand that the relationship with the woman is not linear, that there will be some bumps along the way. They are tenacious and going the extra mile is the norm. For example, if a woman is no longer living at her usual address, her Practitioner will use her contacts and networks to track her down and make sure she’s safe. If a woman is struggling to deal with particular service providers, such as housing, her Practitioner will work with her to resolve the situation and to provide her with the tools to manage the situation herself in the future. At every stage, Pause Practitioners encourage the women to keep the child in mind. This does not only mean those children that have been removed, but her own childhood too. The women who work with Pause are encouraged, at their own pace, to talk about growing up; the strengths they gained, the adversities they overcame and experiences that remain unresolved and interfere with life. Finding compassion for the frightened, sometimes angry, child within can help women develop empathy and insight into the impact their behaviour may have had on their child. There is strong evidence that maintaining a relationship between parents and children who are in foster care or have been adopted can have a positive influence on the stability of that placement. Pause works with women to encourage contact, whether spending time together or through exchanging letters. The children of the women who work with Pause often live with extended family, or other primary carers, and continue to see their birth mothers. Pause Practitioners support women to contain and manage feelings, so contact sessions can be enjoyable, meaningful and memorable for children. Seeing their birth mother recover from, or at least manage, difficulties can reduce stress in children. This also models recovery and reparation when life has taken a difficult turn, which helps build resilience in the child. Pause encourages women to express their feelings and take responsibility for their actions. This equips them with better skills to talk to their children as they grow older, and to help them to understand their story. The women who work with Pause are encouraged and supported to take a proactive role in giving their children ‘permission’ to settle and attach to the people looking after them, which can relieve the child’s stress and guilt. Women often say letterbox contact is too hard. Practitioners should explore further, suggesting for example, that they write letters not to be sent, saying everything they feel and want to say but can’t. This can be a beginning to help them then write a letter to send, that helps the child stay connected to their birth identity. 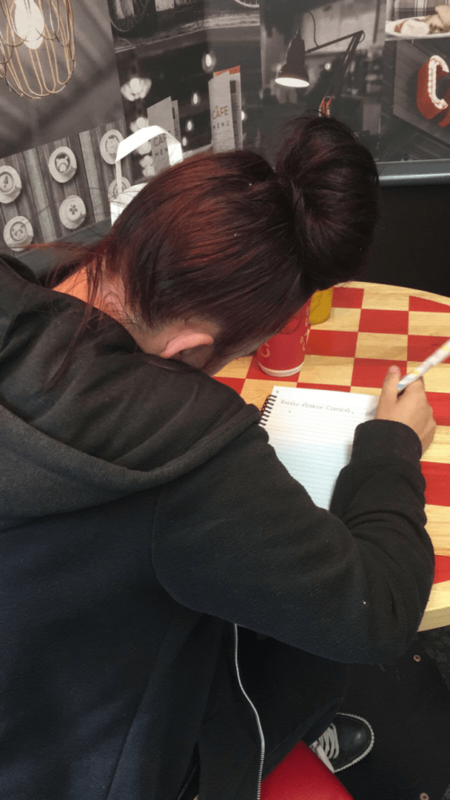 We know that a programme like Pause is most effective when the woman has no children in her care and she is in a position, sometimes for the first time, to focus on herself and her own needs. Following the initial 16-week engagement phase, to ensure that the women are able to take a pause from pregnancies, we ask them to use the most effective form of reversible contraception. Pause Practices work closely with their local sexual health providers to ensure that the women make an informed choice around contraception and that they are able to choose the most appropriate form for them.